This week I hope that you will do a little experiment with me to raise the frequency of your body by practicing gratitude. Not only will it change your brain but it will make you more resilient. A healthy body has a frequency between 62-80 MHz. This study of frequency led me to healing of sound, essential oils and prayer. But today I want you to consider the power of gratitude. It won’t change your situation but it will do something to YOU! 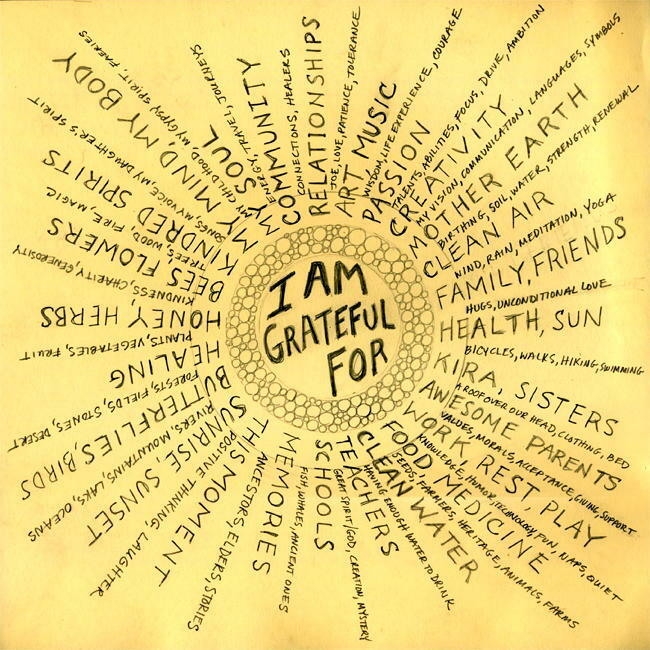 So this is my challenge to you today… for 21 days practice gratitude. Get a journal, your Facebook account, your blog and begin to change your life by acknowledging the good things and even the hard things in your life. If you are like me turn on Wholetones, get that EO diffuser going and say a prayer too. Over the weekend at the LION Think Tank at UAF I heard someone say how grateful they were for being incarcerated, it changed the trajectory of their life for the better. They proceeded to list the people in their life that had helped them along the way, the allies in the form of instructors, probation officers, counselors, friends and family that made the path just a little bit easier. You want this man in your life because he radiates hope, hope for redemption. Today, I am so grateful for the beautiful space that I get to invite people into here at Reentry, the large table, the comfy couch. I am grateful for my colleagues that teach me and let me process my own journey along the way. I am grateful to be invited to listen at community gatherings across our city. I am honored when a returning citizen chooses to share their story with me. Thank you Fairbanks for joining the Reentry Coalition!